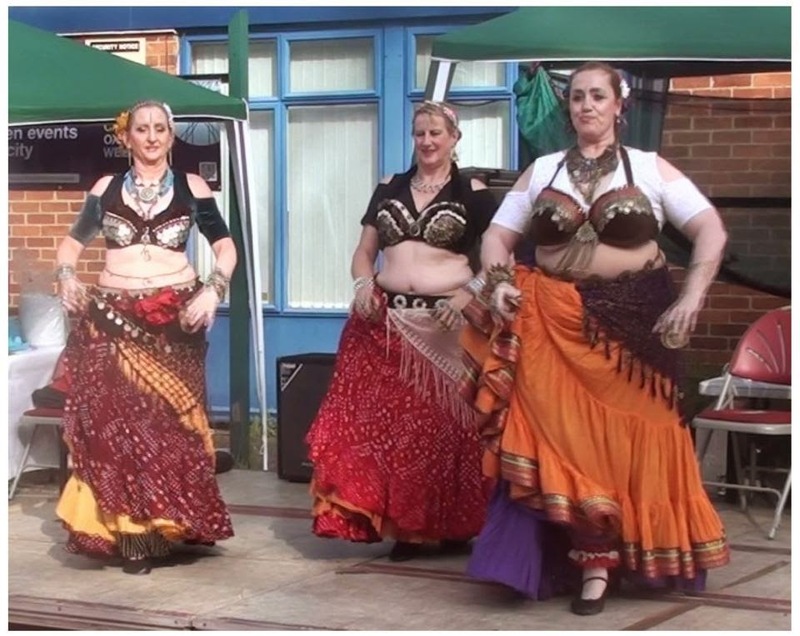 The AWCA (Asian Welfare & Cultural Association) hosted their 9th Mela this past Sunday 6th July. 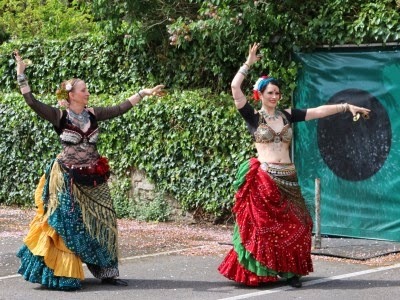 A major cultural community event, the diverse programme posted Irish, Chinese Dragon as well as our own ATS® dancing. 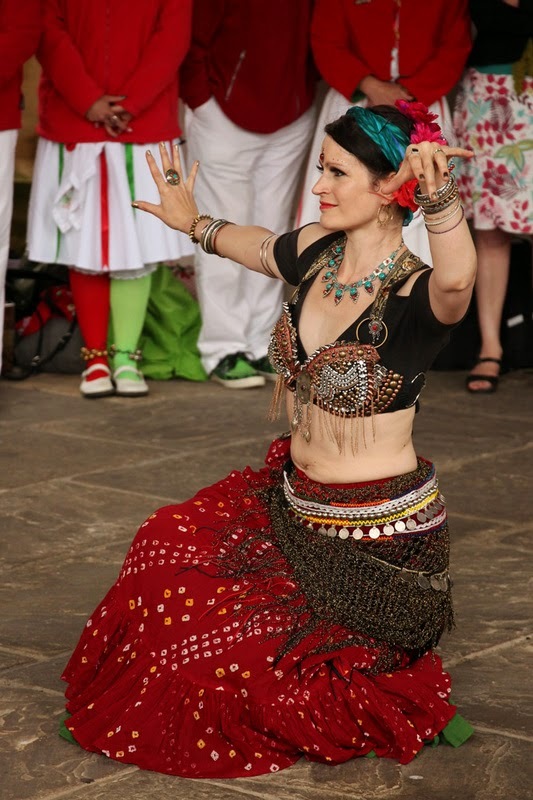 A regular event for us - this year we were again joined by Nirzari, this time Lulu. 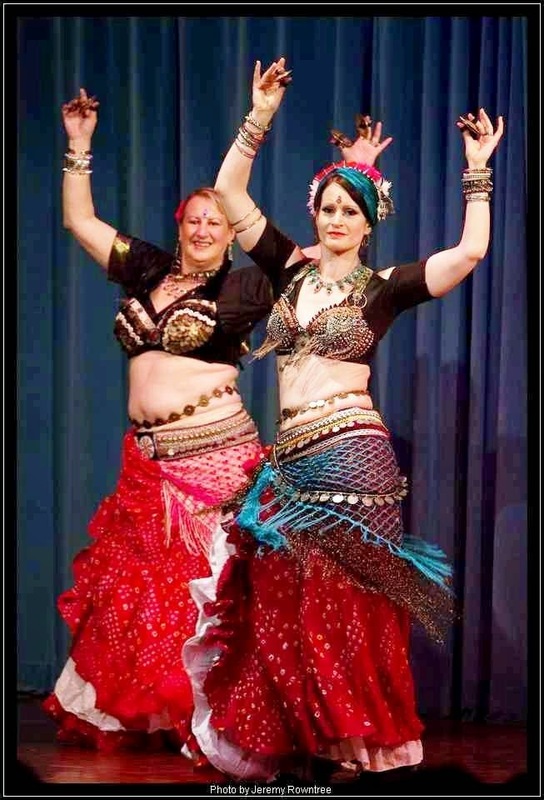 Mel was already dancing Odissi at the event, and how amazing she looked!! There was singing from the Eastleigh choir which blended wonderfully with national performers from the Asian pop scene and Brazilian drums! The little people were obviously catered for (and kept busy) with everything from kite making and face painting to falconry display and puppet theatre. On the food side (yummy Indian ice cream), there was an attempt at baking the world’s largest naan bread to raise money for the Fire Fighters, Water Wells Project and Hampshire Hurricanes! The attempt was successful but has yet to be officially registered lalalalala or yum yum yum!! Our much anticipated and long awaited FCBD® General Skills / Teacher Training week at Rochford has already been and gone; we’re all back in our routine but I’m still buzzing! On a personal level, although tremendously looking forward to it, I’d been somewhat apprehensive as well, but I needn’t have worried as I had Carolena, Megha, Philippa and Deana going out of their way to accommodate everyone. Pips, Esme and I all got our GS certificates (congrats ladies) and I stayed on for the TT. I had a fantabulous time and we all had the opportunity to finally meet all our Facebook ATS® family!!! 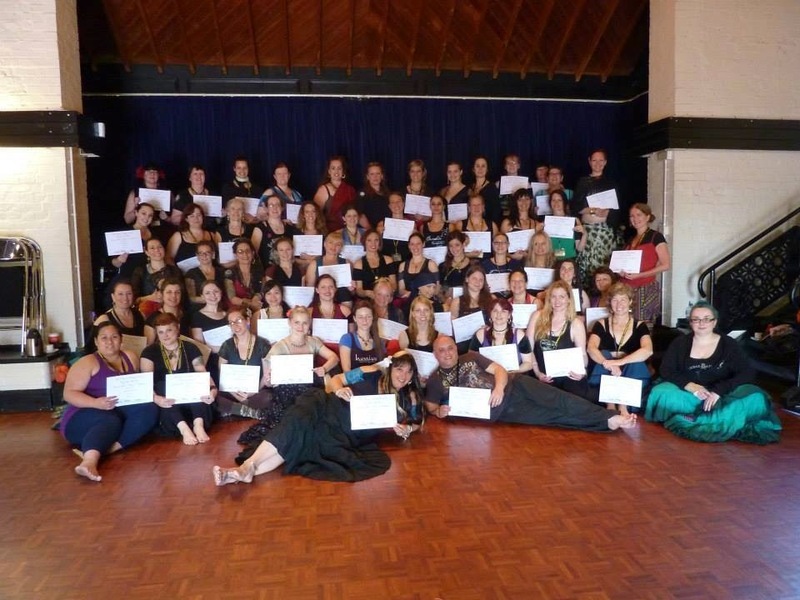 So, following on from this training course, all of Ashnah - Pips, Esme and I (Rita), are all certified in FCBD® General Skills, and I'm also certified in Teacher Training and am now excited to announce that I'm also a FCBD® Sister Studio woo hoo!!!! Huge thanks to Deana and Philippa Moirai for organising this event. As for THE ATS® big guns, Carolena, Megha, and Kristine – ladies, it was an absolute privilege to meet you. 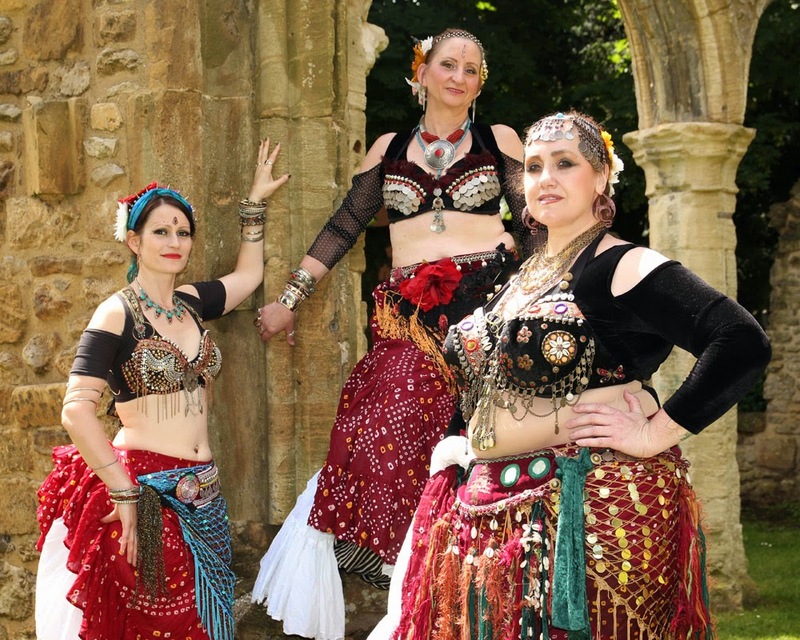 A much anticipated date, we always look forward to this bijou festival as it's one of our regular collaborations with Oxford Drum Troupe, and again this year they invited us along. This year's 15th Annual Wittenham Free Charity Music Festival held in the grounds of the Plough Inn at Long Wittenham, near Didcot was no different and was raising money for both the Pets as Therapy and the Young Dementia charities. There was a wide variety of music which everyone enjoyed outdoors while partaking of world cuisine. 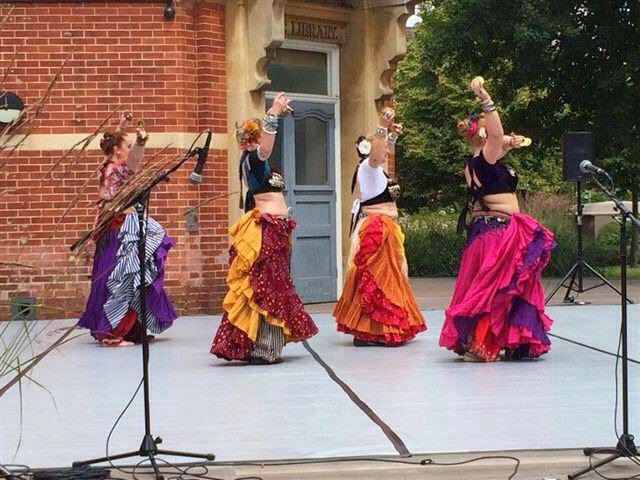 Dance-wise, we shared the stage with Morris dancers and oh mercifully, the sun!!!! The Oxford mela - vibrant sounds coupled with delectable yummy smells!!!! The site was basking in a sea of colours from the cross section of performers who'd gathered to provide a wonderfully eclectic programme. This event is getting ever more popular and Ashnah is certainly proud to be associated with its endeavour. One of Oxfordshire's main dance events, it never fails to deliver on hospitality while giving us all a good opportunity to catch up. Once again on top form was the incomparable Jane, our hysterical gem of a compere. 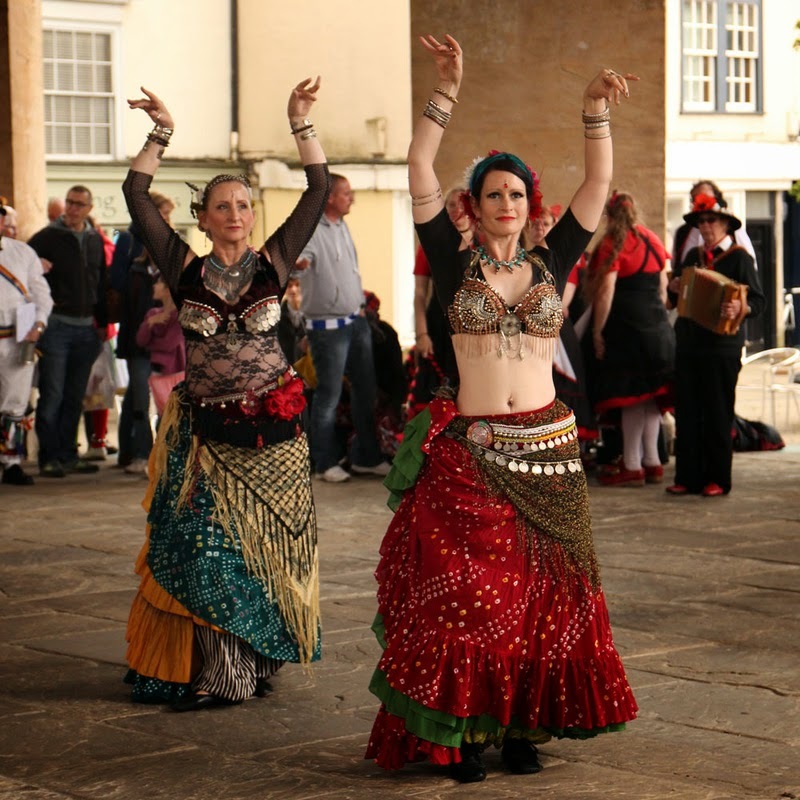 The programme included bellydancing, fusion, ATS® tribal and brought together the local talent. We all stormed the stage for a last dance or two before having to reluctantly call it a night. Abingdon's annual event Fun in the Park came round again, and with an invite to perform there, Ashnah got ready for the big day. 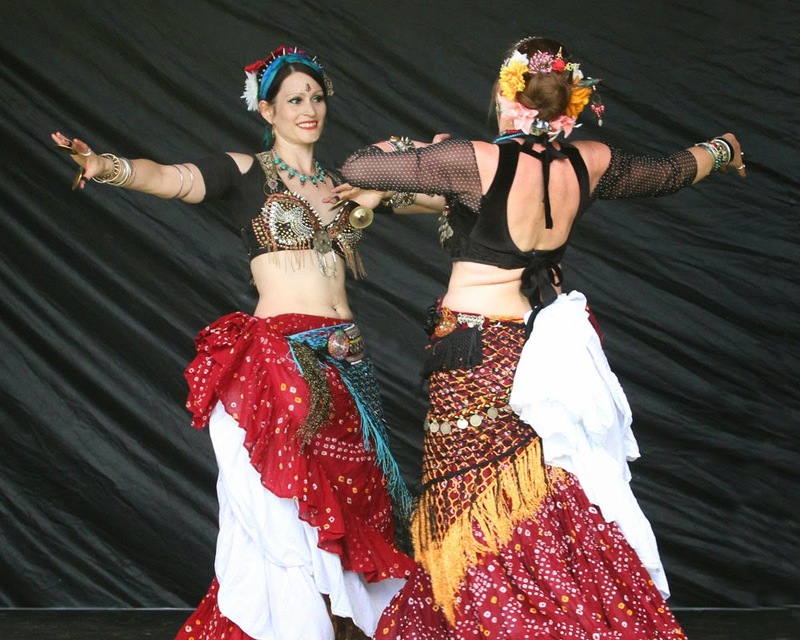 The rain fell, dancers fell by the wayside and only Esme and I were able to make the stage, and as we stepped out to dance, the sun shone down!!!! 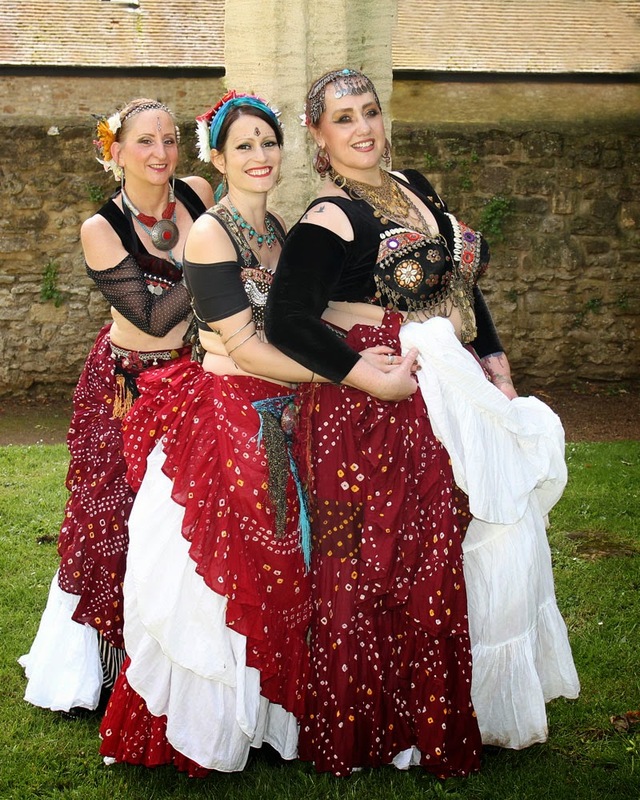 We arranged to meet a lovely photographer there, and he very kindly took our pictures during the performance and afterwards in the grounds ..... thank you very much Martin! 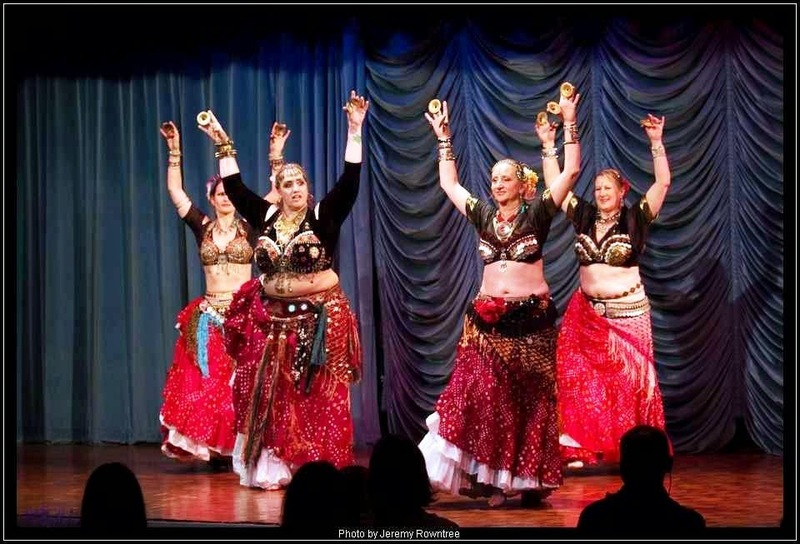 Later that evening and still in costume, we headed for Kidlington to perform at Hathor (see separate blog article). See our Gallery page for more pictures. We made a day of this booking and although the weather was not 100%, we couldn't have asked for a warmer reception! Our first performance in the early afternoon took place under a lovely marquis and on a spotless stage, and in the evening out slot moved to the large hall where we found not only an appreciative audience, but also our Irish friends the O'Gara School of Irish Dance. Esme who joined us in the afternoon left us to face the music for a prior engagement, and we danced on our own in the evening. Follow this link to visit the Donkey Sanctuary where you can see what events are coming up, or even adopt a donkey or donate towards this charity. 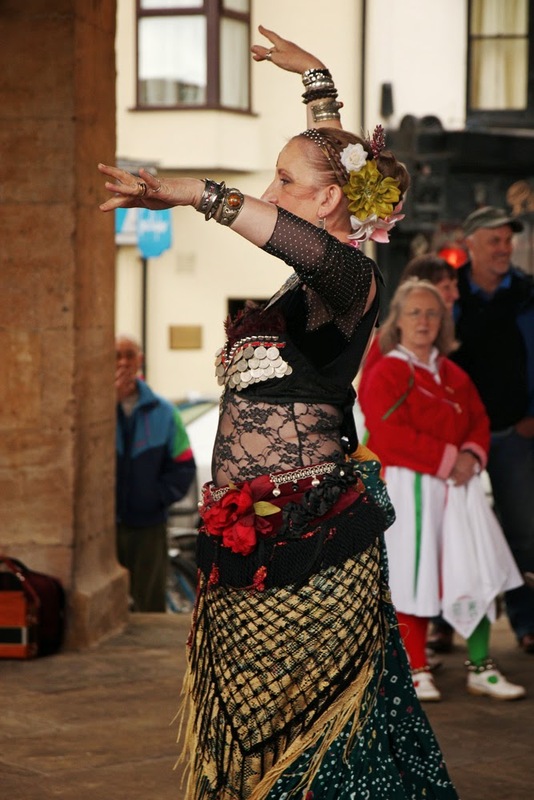 On the morning, the rain cleared up and Esme and I set out with Betty boom-box, and along with another team we danced our way from The Cross Keys, The Brewery Tap and all congregated at the Black Swan where crowds gathered to watch. Needing a much deserved break we all headed to The Narrows for lunch, and later all met on the Market Place where we all danced under the arches of the museum ending with a mass dance off, before heading back down Ock St again dancing at The Brewery Tap and back at The White Horse ..... finishing the day at The Royal British Legion where refreshments were laid on. Busy, busy day, and much fun and laughter and have another invite to join them again next year!!! Can't wait!! Thank you Martin for the fabulous photos!! !